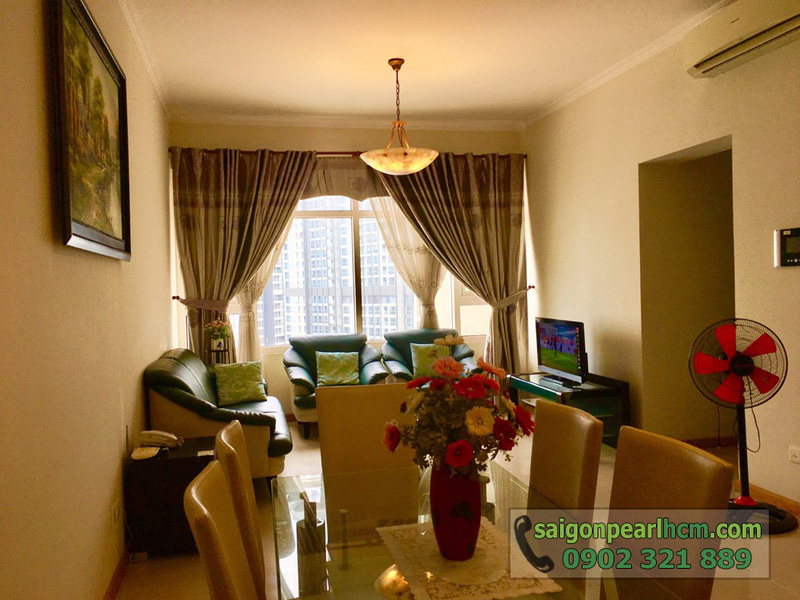 Famous throughout the city and is know as "5-star pearl" on the bank of the Saigon river, Saigon Pearl apartment attracts a lot of high intellectual people and foreigners to settle and live here. 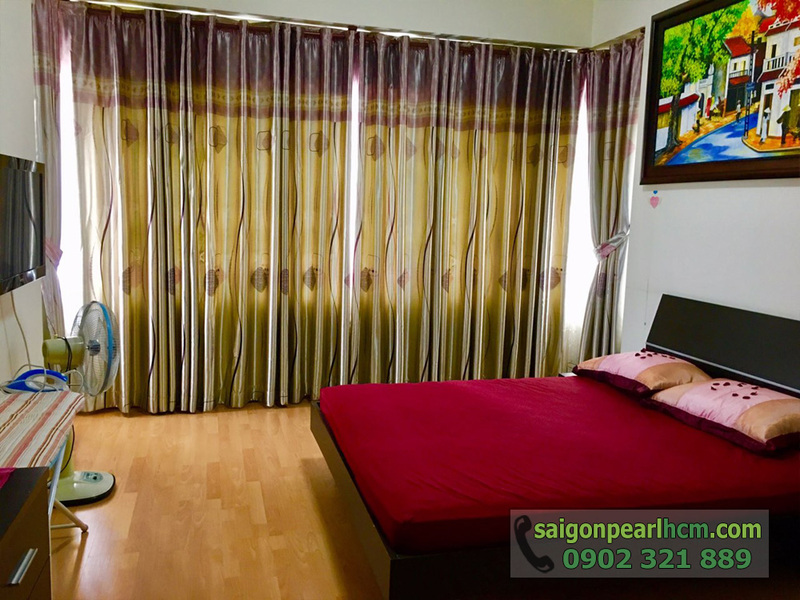 Saigon Pearl apartment can be considered like a small city which is located on Nguyen Huu Canh street – the main road of Ho Chi Minh city. Convenient traffic and high-class amenities such as bilingual school, convenience store, shopping mall, Pearl Cafe next to the large non-chemical swimming pool as well as healthcare services including gym center, yoga class, spa, ... are available at Saigon Pearl apartment. 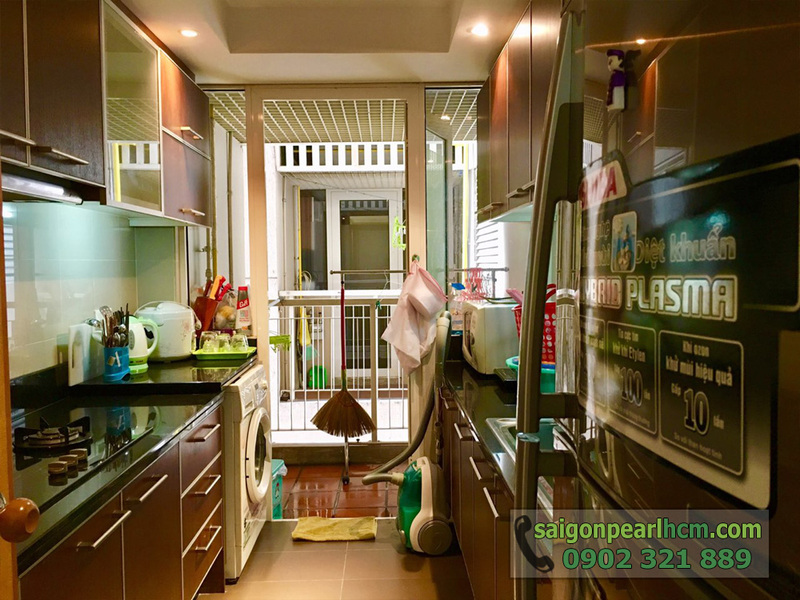 Saigon Pearl apartment for rent is designed with 2 bedrooms, 2 bathrooms has total usable area of 89 sqm. 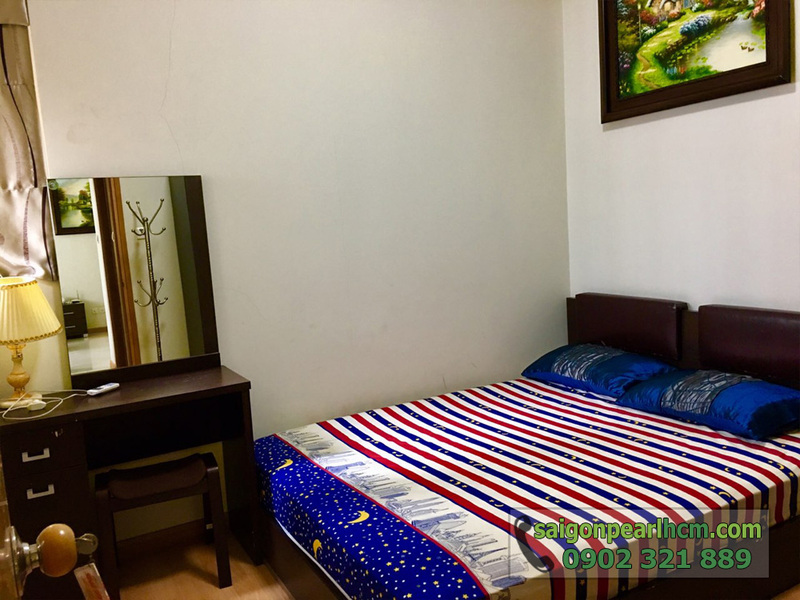 The landlord equipped full of luxurious and comfortable furniture and also arranged neatly to create a cozy and elegant space in this apartment. Therefore, you can move to stay immediately without buying any other furniture. The special feature of this Saigon Pearl apartment is very nice vision to overlooking the city center. From the large glass windows are installed in the living room and bedroom with the 25th floor location, you can enjoy the romantic and fanciful scenery from skyscrapers in the heart of the city. 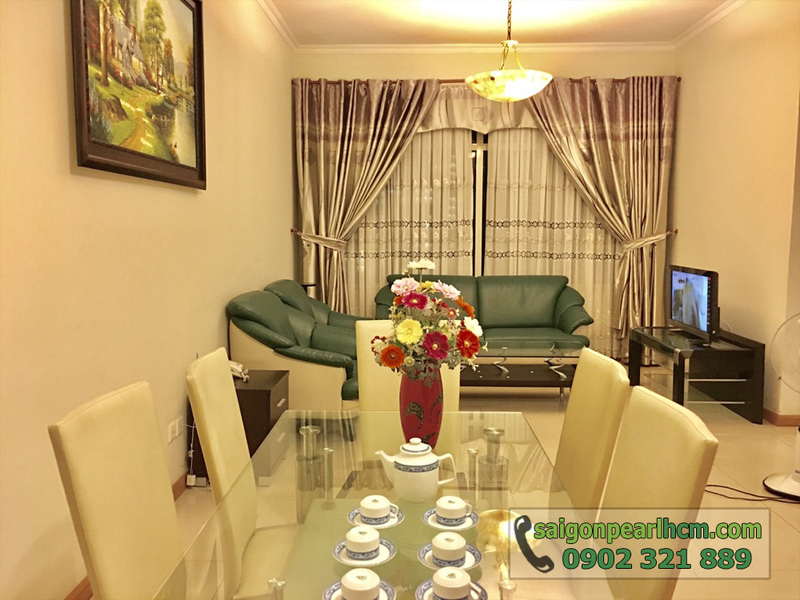 The rental price of Saigon Pearl 2-bedroom apartment is only 900 USD per month ~ 20.4 million VND (including management fee) and is converted into VND according to the bank rate at the time of rental. Please call us immediately following contact information below if you need specific consultation. Our professional group in real estate consultant will ready to serve you anytime with our warm-hearted welcome.